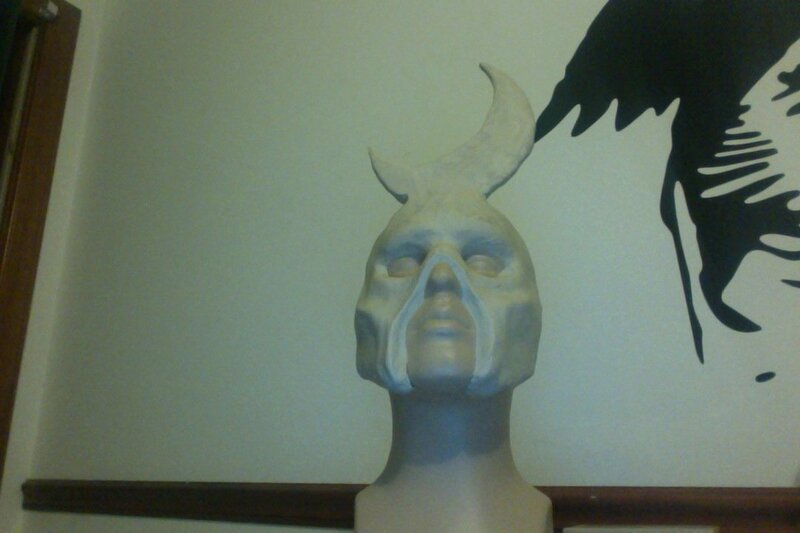 ok,above is a mask im working on for the Bruce D.Mitchell tutorial i want to have an open mouth on it so im wondering if i should leave it out in the clay under sculpt before putting magic sculpt on top of it also if i should do something different with the moon shape on the top will the magic sculpt hold up going that high above the mask? I don't know about the mouth piece because I haven't seen the second tutorial by Bruce D. Mitchell, but from what I've seen of the magic sculpt, the moon should hold pretty well. As long as you don't thrash it super hard for some reason, it should work! Hope I helped! The moon should be ok, I would just make sure you have plenty of material around the base holding it up, as the point of connection between the moon and the head is the area where it might break. I can't tell from your photo, but I would have the joint where the moon connects to the helmet have a bit of a fillet, rather than the two surfaces meeting with a hard 90 degree joint. In the event that the moon gets bumped the fillet will transfer some of that energy to a larger area. 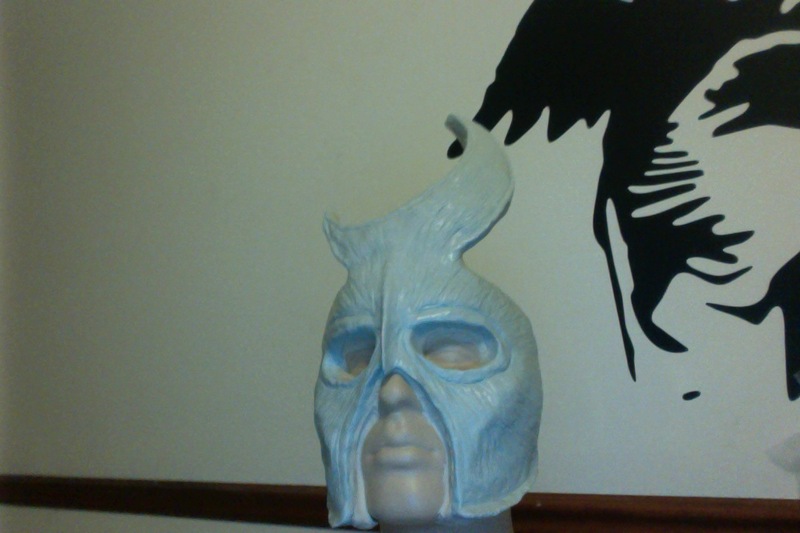 That design should hold up well, but as Bruce said, the cured Magic Sculpt is brittle, so don't drop it! As for the mouth, it's hard to say what you might want to do without knowing what your design goal is, but I would try and leave a little room for the person's mouth to move inside the mask. Looking forward to seeing how your mask turns out, you're off to a great start! Acrylic airbrush paints should go great on it. You may want to put an even base coat of a solid color on first before going in with lighter airbrush passes. But that depends on your color scheme and if the natural color of the material would work as your base.